The Crypto bear market has highlighted the lack of value creation within the space. While Bitcoin has many proven use cases, protocols, DApps and other altcoins are under increasing scrutiny from investors and market analysts. Do any project outside of Bitcoin require a blockchain? Do users care about decentralisation? Are these all just shitcoins? Significant money has been invested in these new protocols and DApps, but many are struggling to ship, and those who do ship are struggling to gain traction. Supporters will argue that we are early, and that patience is required, but are these Crypto startups trying to solve problems which do not exist? Building DApps is hard and smart contracts come with many complications. Still, this hasn't stopped investors from investing and coders from building. Only time will tell as to whether there is a need for blockchains outside of the Bitcoin 'Sound Money' theory or whether this is one large innovation bubble heading for a crash. 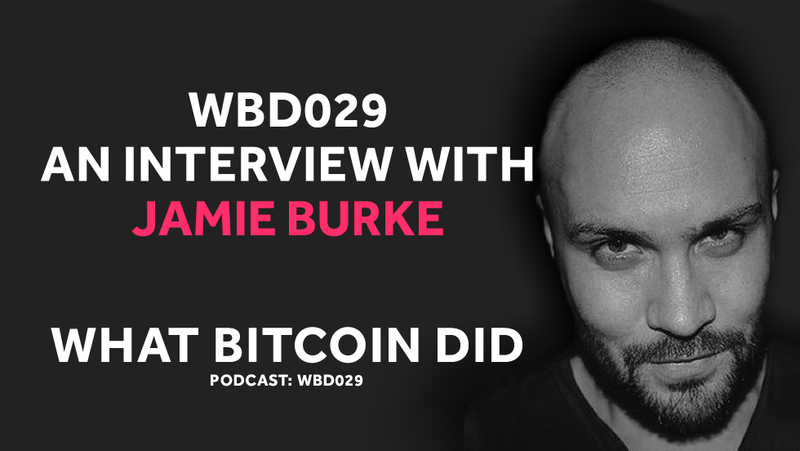 This week I interview Jamie Burke from Outlier Ventures who has invested in a number of token-based blockchain startups. We discuss token economies, the fat protocol thesis which Jamie wrote a supporting piece about called the hungry protocol and the path to decentralisation. Ahead of accepting paid sponsorships for the show, I wanted to highlight a few projects. The best way to discover and discuss the latest in crypto and blockchain. The platform and newsletter feature project launches, high quality think pieces and trending news. Here you will find a selection of beautiful coffee from around the world. And more importantly every purchase supports my charity The Cariad Project to enable it to send disability equipment to people in need in Africa. They fund wells and other methods to provide safe, clean water to those without it. All donations go straight to the cause, as operating costs are covered by private donors. John Sanchez specifically created a campaign, called 'Crypto to Change the World', to firstly help the cause, and secondarily to showcase the giving ability of the Crypto Community as a whole. Jackson Palmer's: Are we decentralised yet?